Where is Mangere Mountain located? The mountain is just an eight minute drive from the Auckland Airport. 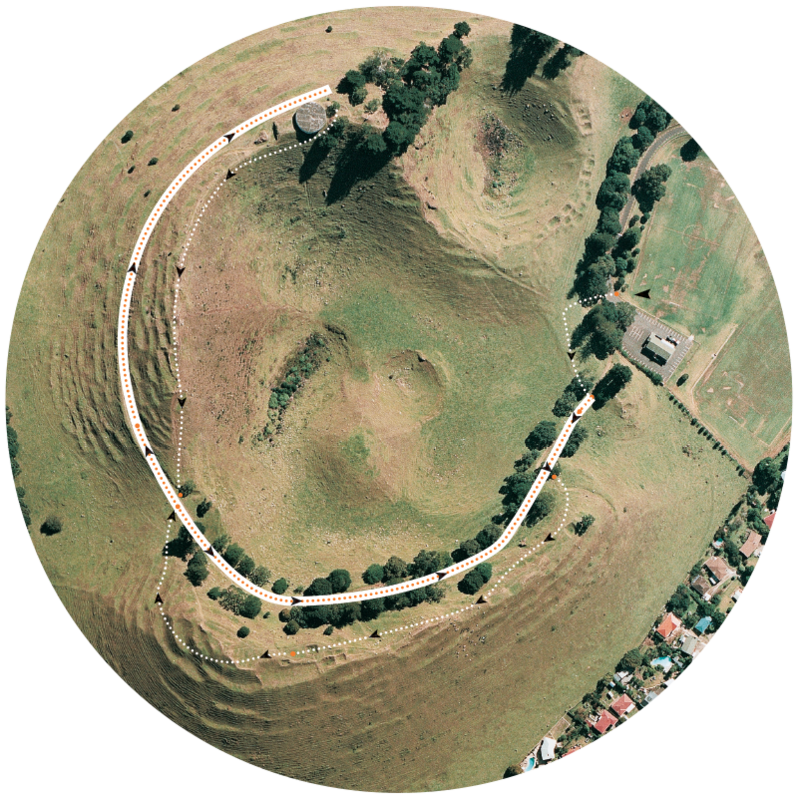 Visit us just as you begin your New Zealand trip and start off with a positive and blessed experience at one of Auckland's best preserved volcanic cones. From Downtown Auckland, from Queen Street, merge onto Upper Queen Street. Turn right onto Ian Mckinnon Drive. Continue onto Dominion Road. Merge onto the Southwestern Motorway/SH20 via the ramp to Manukau/Airport. Take exit 12 for Mahunga Drive. Turn right onto Rimu Road. At the roundabout, take the 1st exit onto Coronation Road. Mangere Mountain Education Centre is located at 100 Coronation Road, directly opposite the vets.